The Political Environment: Foxconn profit falls on 'soaring' costs. Are robotics far behind? Foxconn profit falls on 'soaring' costs. Are robotics far behind? I know: send in the robots and use the related tech on which Foxconn is currently investing $4 billion to reportedly replace every one of its workers, and cut those costs. 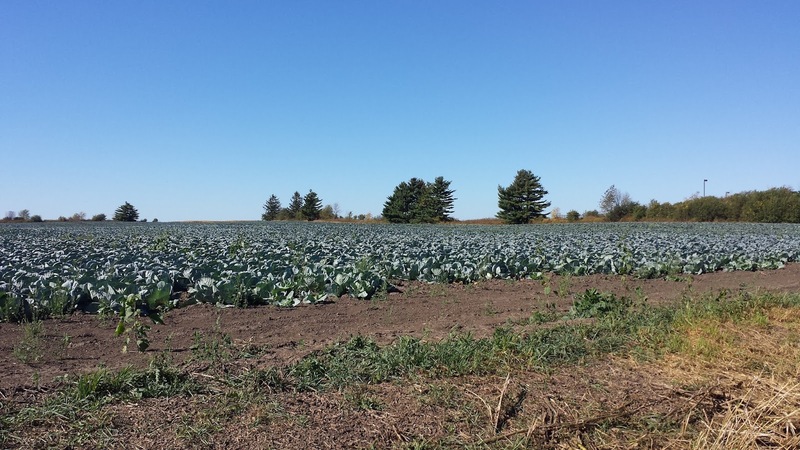 Thousands of acres like this cabbage field in Racine County shown here in 2017 are now in an area now designed 'blighted,' available to be seized by local government for Foxconn's use and 'development' with public funds. Bulldozing is underway. Did the Walker crew ever confirm if the jobs Foxconn supposedly will create will be jobs for humans, or robots? Also, didn't Foxconn indicate that they'd like to see road improvements that would support autonomous vehicles? Not another dime to Foxconn!